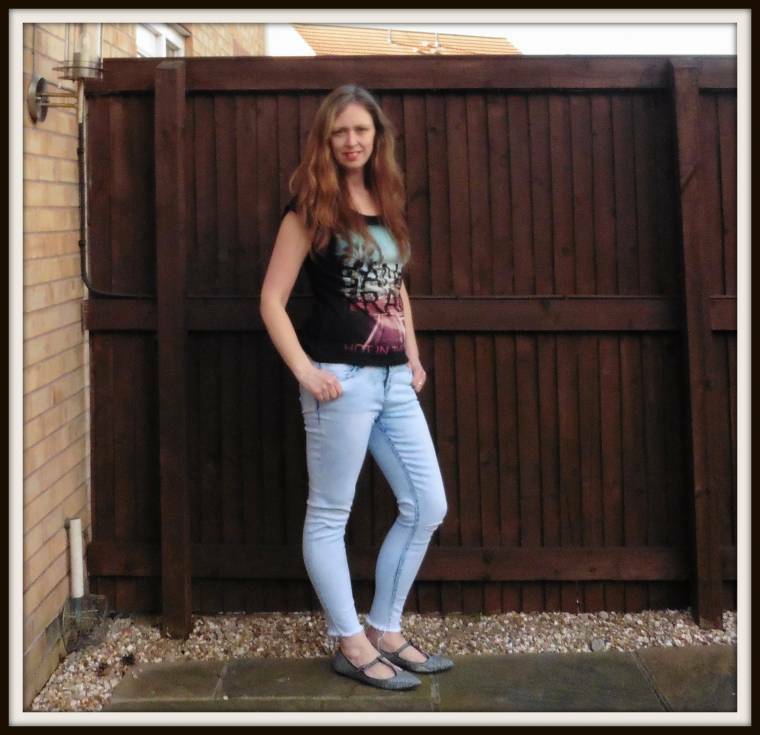 Last week New Look kindly invite me to a fun Denim Style-Up fashion challenge. They set me the challenge to pick something from their Spring/Summer denim range and asked me to style them up into three different outfits. One casual, one formal, and then one sort of in-between. The first pair of jeans I selected looked lovely online. I picked some boyfriend jeans but when they arrived I realized they were not me. The big baggy look did not look right on me, (more for the younger generation!).. No worries though, New Look Online let you take them back to your local store and exchange them, so I simply picked out another pair on a shopping trip. This time I went for some similar to the first pair, just with a tighter fit. These light blue ripped knee skinny jeans with frayed hems fit perfectly and in my opinion look great. Very trendy for a daytime look but could you get away with wearing them as a formal look? Yes you can!?! Graphic t-shirt, jeans and pump. this one has to be my favourite look!! A classic black top and my favourite shoes. A San Francisco t-shirt, jeans and some sparkly black and silver shoes. 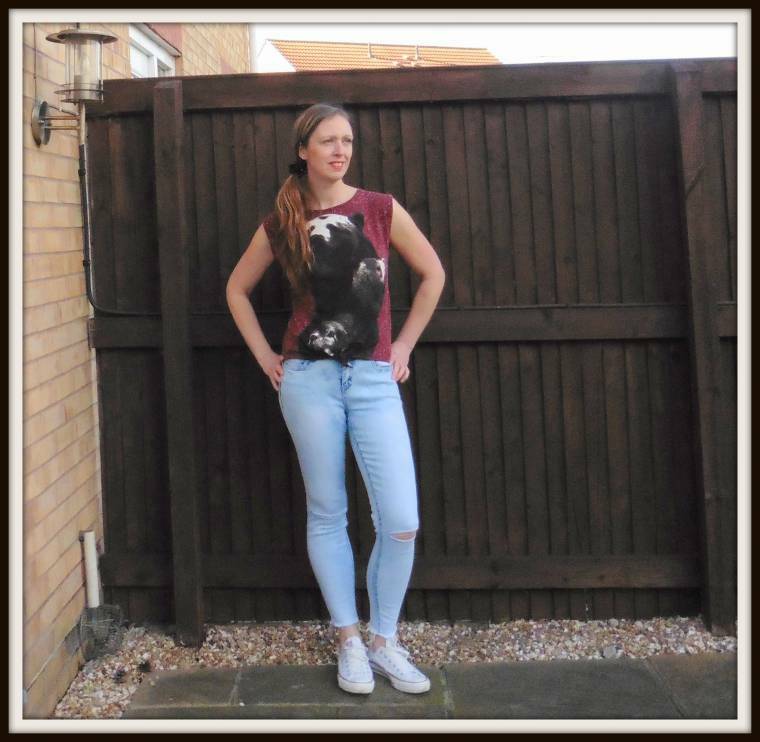 What do you think of my new jeans and how I have styled them? About this post: I was gifted these jeans as part of a challenge. All thoughts are my own opinion and I was not paid for this post. Thanks for the lovely comment Winnie 🙂 have a lovely weekend ..
Love all three but adore the shoes in the first one! 3 very cute tops and I love that pair of denim. They fit you perfect and I love their light wash.
Nice jeans. And you styled them well. Thanks for linking up at Who's Wearing What Wednesdays at Pastries, Pumps and Pi!